For the past fourteen years, David has been studying flamenco guitar, traveling regularly to Spain to further his talents. 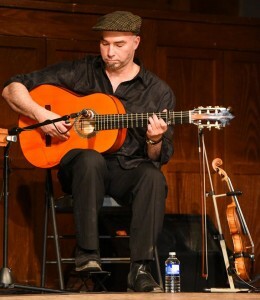 In the summer of 2009 supported by a grant from the Alberta Foundation for the Arts, David traveled to Montreal and studied extensively with Myriam Allard’s flamenco company La Otra Orilla and its principal guitarist, Craig Adams. 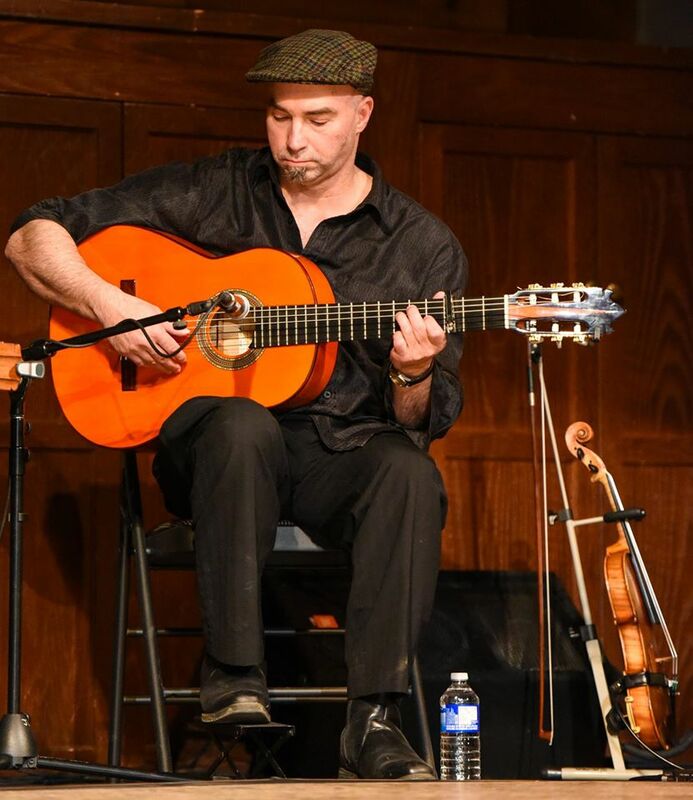 He has also studied flamenco guitar with renowned Calgary-based flamenco guitarist Peter Knight. David has performed flamenco guitar professionally for the last ten years. He has frequently accompanied flamenco dance classes at the School of Alberta Ballet for Claudia Carolina, a leading Canadian flamenco dance teacher. David has performed recently with several Canadian flamenco dancers in such productions as: ‘Raices’, ‘Cross-over’, ‘From Spain to Calgary via Montreal’, ‘Flamenco y Olé’, and ‘Sketches of Flamenco’. As well as ‘Stories’ in Edmonton and ‘Vida’ in Saskatoon. He currently performs with the Salero Caló flamenco group at Calgary’s Wine Oh (Formally the Beat Niq Jazz Club.